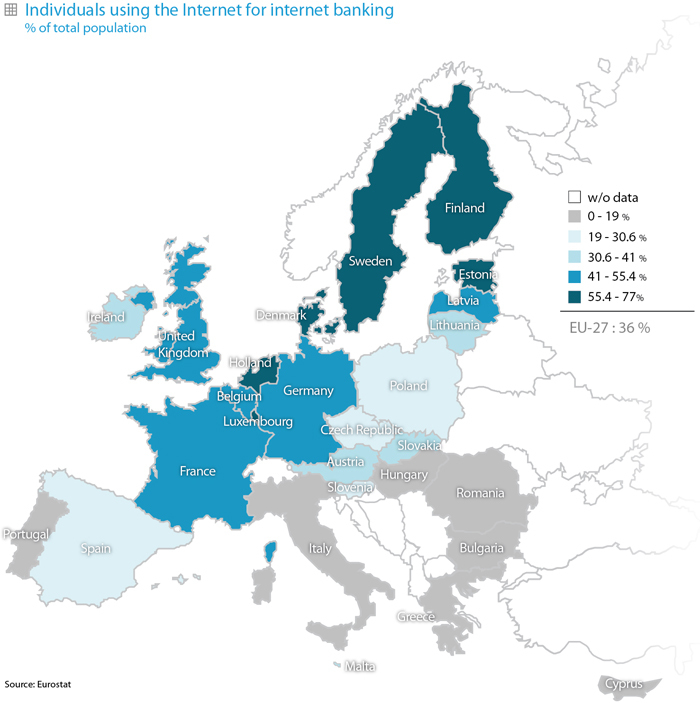 In the EU-27, the number of individuals using the Internet for Internet banking has increased by 4 percentage points in the last year, from 32% in 2009 to 36% in 2010, which confirms an upward trend in this use of the Internet. A more detailed analysis reveals that, within the EU-27, Northern European countries record the highest percentages. The Netherlands, Finland and Sweden, which scored values 40 points above the European average, are the countries with the highest percentages. On the contrary, Bulgaria, Rumania and Greece are far below the common average. Spain shows a consolidated upward trend, going from 12% in 2004 to 27% in 2010. 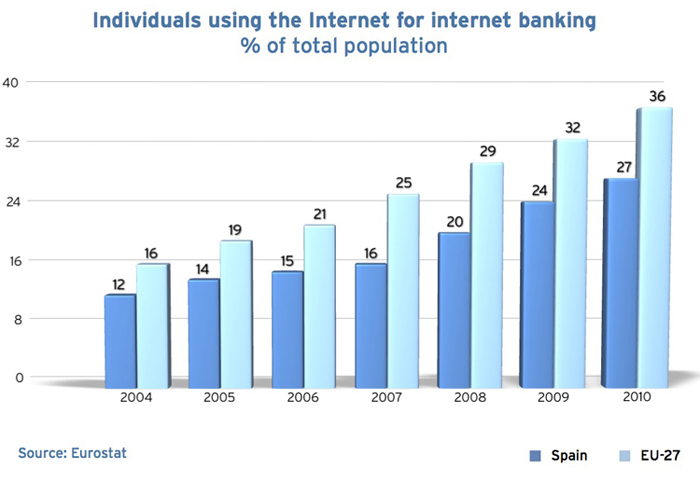 Number of individuals, expressed as a percentage of the total population, who have used the Internet for banking in the last three months.